Congratulations for making the decision to take your yoga practice to a deeper level. 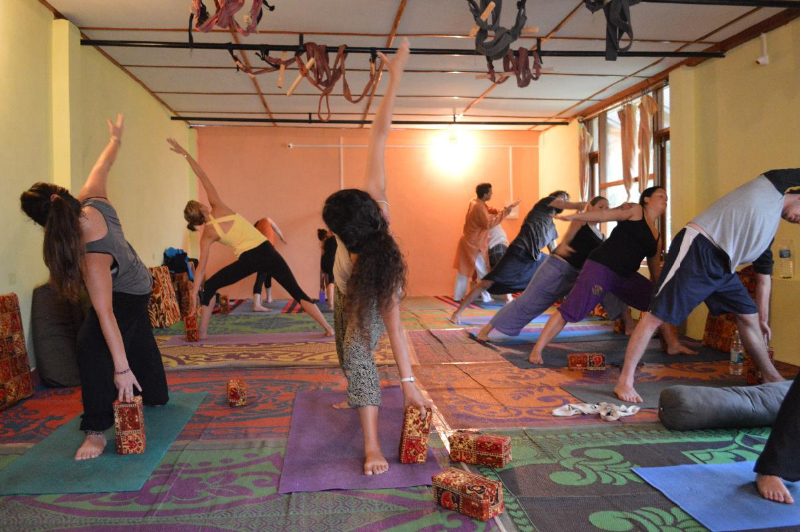 Mahi Yoga offers comprehensive Hatha Ashtanga Yoga Teacher Training programs for 200 hours, 300 hours and 500 hours in Goa, Dharamshala, and Rishikesh in India. 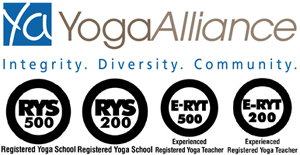 Mahi Yoga is registered with Yoga Alliance USA RYS 200 & Yoga Alliance International 500 Hours. 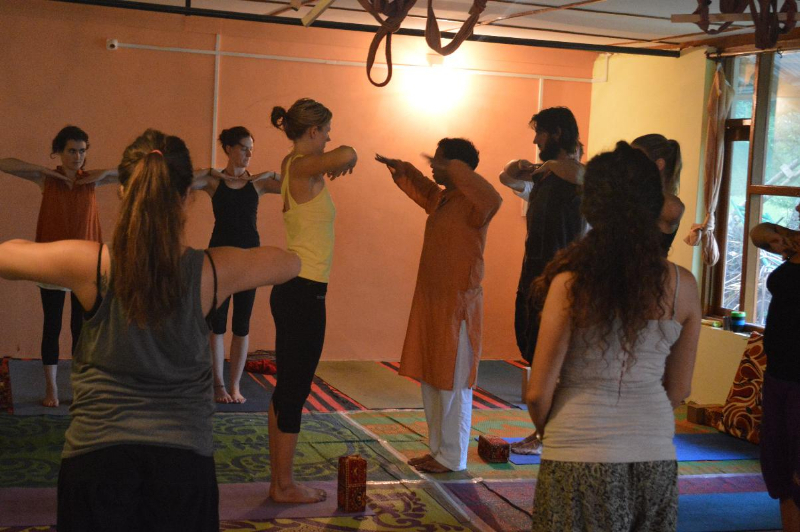 The Yoga teacher training courses in India are in depth and follow the guidelines as listed by Yoga Alliance. Yoga is known for its therapeutic benefits. At Mahi Yoga, we teach the therapeutic style of yoga. In this style, the course begins with a health checkup of every student. Individual attention is paid to students who have some physical troubles and special asanas are taught to them to overcome their problems. All the necessary equipment, such as mats, blocks, belts, chairs, stools, bolsters, blankets etc. required during asanas is provided within the campus. The teaching style is simple and personal. Our teachers understand that yoga is not easy, can’t be a hurried effort and demands commitment. They are patient and empathetic, helping students overcome their fears to savor the joys of yoga. 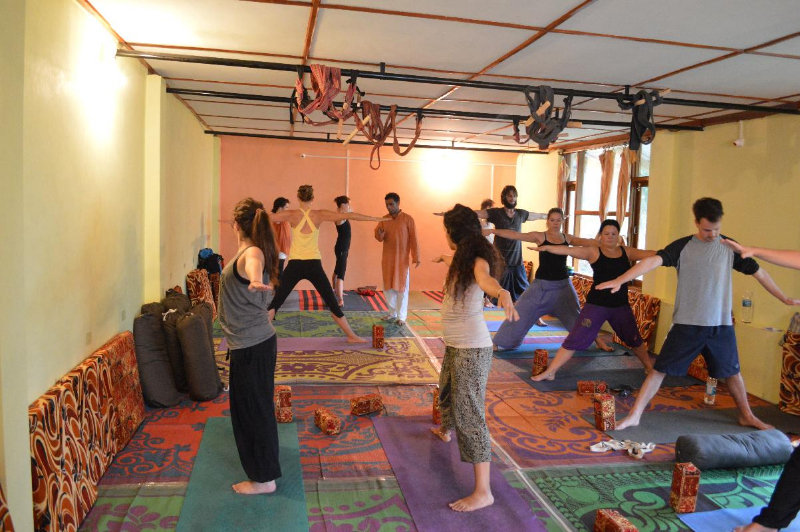 The daily schedule includes morning asanas and pranayama followed by flow yoga in the afternoon. Flow yoga teaches students how different asanas can be sequenced. An expertise in yoga doesn’t automatically translate into excellence in teaching yoga. In fact teaching, yoga is a special skill which goes beyond asanas. 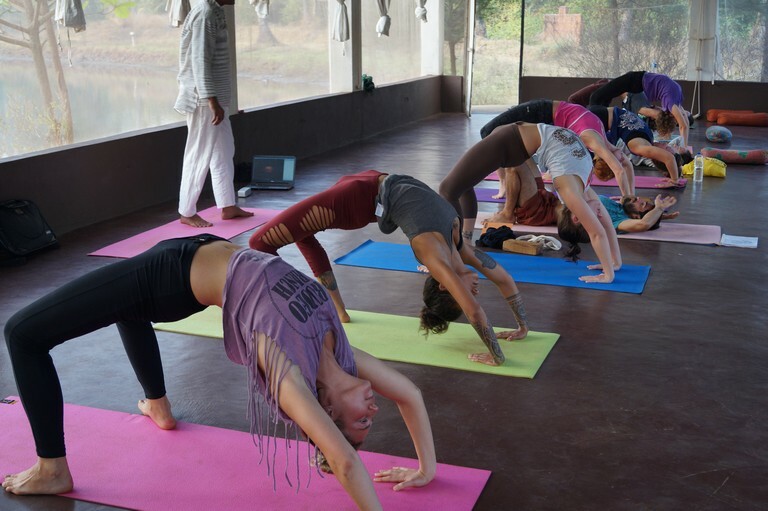 Therefore special attention is paid to this aspect of the course also after all most students who take up these courses want to pursue a career in yoga. 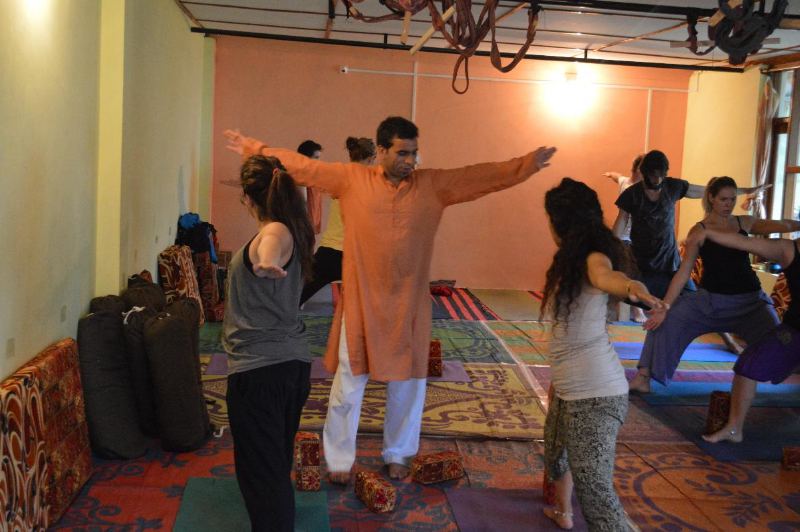 Apart from teaching deeper levels of yoga, classes are held for teaching students how to teach yoga. Students are taught about the yoga touch and traits of patience and empathy are evoked in students so that tomorrow they are able to teach all kinds of students. At Mahi Yoga, we also introduce our students to Ayurveda (Sanskrit word literally translated as Knowledge about the life). Both yoga and Ayurveda go hand in hand and together bring about unforeseen benefits to the human body. 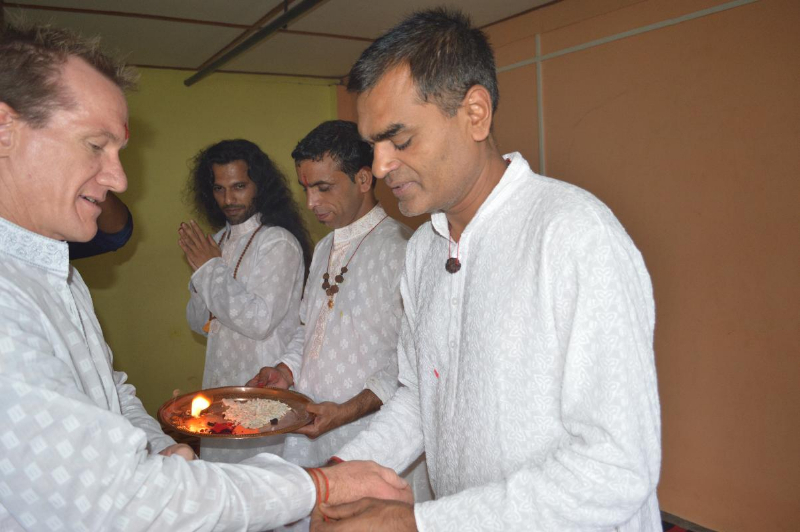 Students also learn how to do Trataka or Yogic gazing, a process of concentrating on an object to allow the ever wandering thoughts to a come to a still, bringing peace to the mind apart from providing immense ocular and psychological benefits. You can enroll yourself for a course by paying a registration fee of 300 Euros. Note that this fee is a non-refundable and non-transferable deposit. The final balance amount should be paid prior to the starting day of the course. You can pay by credit card, by PayPal (commission applies), by bank transfer, or cash in Indian currency. The swift code and the bank account number will be given to you once you enroll yourself for the course. Please, be sure to provide your full name while depositing the fee. Course fee minus the enrollment fee of 300 Euros/Dollar is refundable if the student withdraws before three weeks or more prior to the beginning of the course. Any withdrawals after that are not entitled to any refunds. Although we recommend that students come a few days before the course begins. This will allow them to get acclimatized to the place but where that’s not possible students should reach the premises an evening before the course begins. We have a certificate award ceremony on the evening of the last day. Students can leave after the ceremony or depart any time till 12 noon the next day. 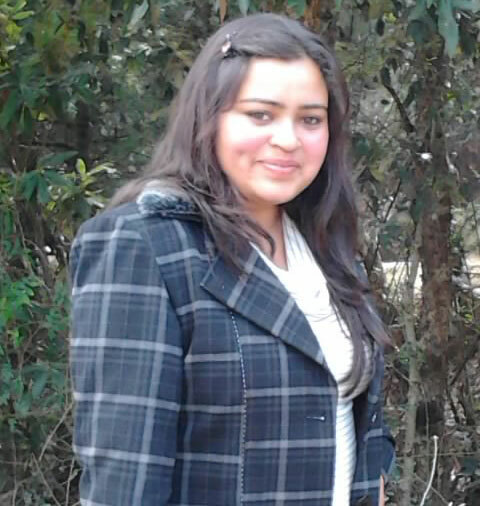 If you want to stay further that can be discussed and arranged to suit your convenience.